DREAMLAND GAVOTTE BY JOE MORLEY. EATIN' TIME BY IRENE COZAD. ARR DAVID MILES M.B.E. 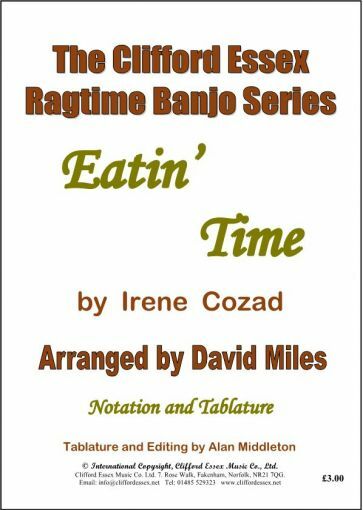 Location: /Sheet music/Fingerstyle Banjo/EATIN' TIME BY IRENE COZAD. ARR DAVID MILES M.B.E. 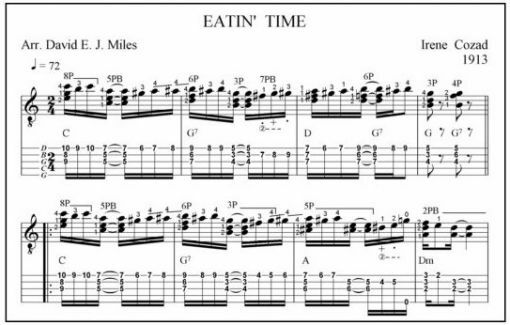 Arranged by David Miles M.B.E. AT A GEORGIA CAMP MEETING BY KERRY MILLS. ARR DAVID MILES M.B.E. CASCADES BY SCOTT JOPLIN. ARR DAVID MILES M.B.E. HELIOTROPE BOUQUET BY SCOTT JOPLIN. ARR ALAN MIDDLETON.